As promised I will devote several posts from time to time on the history of the Church of the East. One of my personal heroes is the leader of the Church for many years in Asia, Timothy 1. He is perhaps one of the greatest mission-minded leaders in history. His death at the age of 95 in the year 823 C.E. represented the end of an era for the Church of the East. Timothy had a passion for monastic mission to Muslims and others in Mesopotamia (now in part the nation of Iraq), as well as for regions farther east like Central Asia, India and China. He combined this mission passion with a commitment to scholarship and translation that would not find both callings in such a uniquely gifted champion again. Timothy indeed brought together in his own person Church of the East elements of scholarship, heart for mission, breadth of learning and understanding of the mission of his Church across Asia, while recognizing and living within the Islamic context he found himself based in Baghdad. In these ways Timothy did represent to some degree a unique figure; able to take what already existed in mission-focused monasteries like Beit Abhe and channel its resources in learning and activities in translation as well as encouraging and choosing monks for mission encounter. Yet though he was unique in the combination of his gifting and calling as a leader who lived so long ago, there are lessons we can learn from his life that matter today. It is startling that there is so little accessible in scholarship to learn about his life. Timothy wrote up to perhaps 200 letters to his friends and bishops he was responsible for, but only 59 of them are still in existence today. These letters are published in Syriac and Latin languages, as well as French. Only translations of a few of them are presently in English. The only full study of his life to date is in Italian by Vittori Berti (2010). Certainly there should be more written on this man! (in the book I’m working on presently there will be quite a lot on Timothy, though it will not be a full biography). As I write this the struggle of millions of refugees continues as they seek to escape the attacks of ISIS and harsh conditions in their homelands. Among them are many Christians that trace back to the early centuries of the Church in West Asia. These believers have lived under Islam for almost 1400 years. Though it was never easy, they like their leader Timothy were able to live in peace with their neighbors and even contribute to society in various ways. This co-existence has been shattered for millions of Christians in these opening decades of the 21st century, and no one can predict what the future holds. Timothy matters today because he represents the rich history that Christianity has in this part of the world. 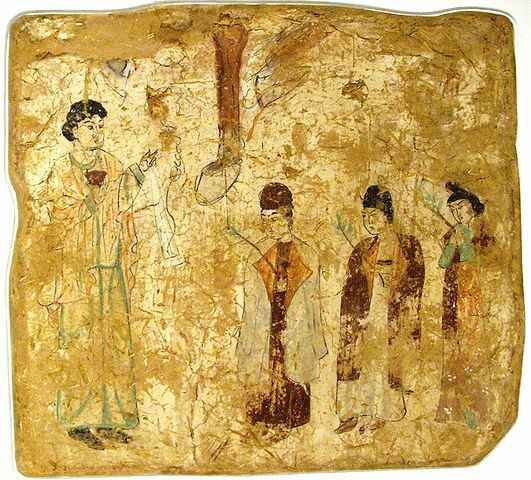 Many of his letters reveal a concern for mission, including to places like China (a fresco picturing a Church of the East mission to China in 7th-8th century is to the left) and India. In Letter 47 written to his friend Sergius, a Church leader in what is now the country of Iran, Timothy details some of the leadership appointments made in the East including for Turkestan (now NW region of China), Tibet, Persia and closer to home in Mesopotamia at Beit Abhe monastery. Timothy matters today because he shows that at one time in history, even under Muslim rule, one stream of the Asian Church based in Baghdad had a mission vision and was involved in fulfilling it. Even in such dark times for the present generations of Christians, there can be hope that the future can hold renewed promise not only of the spread of the Gospel in the Middle East but from the region far beyond as in the 9th century. This seems indeed hopeless today. But there have been dark times before in that part of the world during the last almost 2000 years of Christianity there. 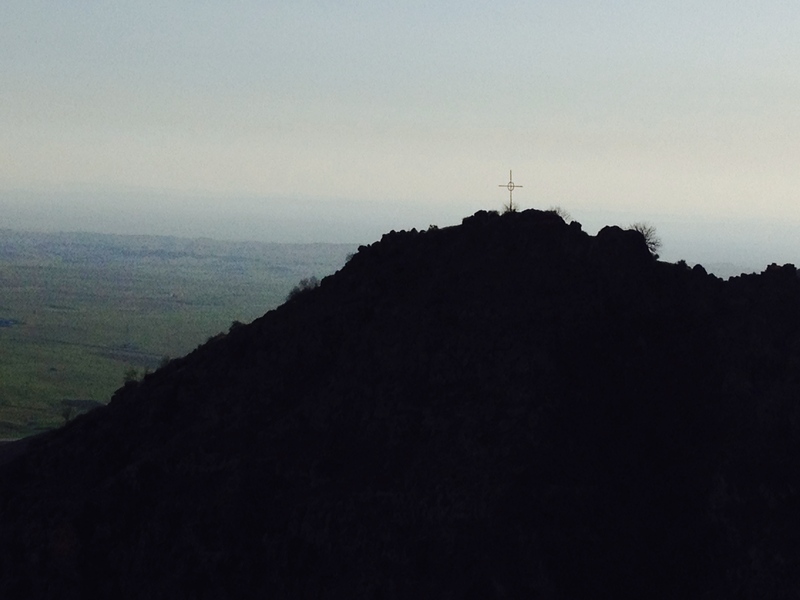 This photo to the left, taken by my friend Anna while we were on a trip to Northern Iraq last year, shows the cross on a hill overlooking the Nineveh plain. It is at sundown. An image that in many ways symbolizes the growing darkness for the Christians and other groups (including Muslims) in the Middle East today. Yet Timothy’s life and witness, and the life of the Church over many centuries, testifies to the possibility of hope in the future that is so desperately needed right now. I’ll continue later in the week with more of why Timothy matters today.